You’ve spent much of your career with Kempinski, but where did it all begin and how did you progress your career to where you are today? It started 25 years ago with Kempinski in my home city Sofia in Bulgaria. I was the Front Office Manager at that time. Well actually, my first position was a bellboy. I started my career from the bottom and went through all the levels in the hotel business. I was attracted by this five-star luxury style, meeting people every day, foreigners coming to the hotel, well dressed, wine and dine around, so I decided that I want to be part of this world. I started climbing the ladder up, moving to the reception, then one year in accounting, and went through different departments in the hotel industry. My aim was to become a General Manager one day. I am thankful to Mr. Reto Wittwer and Mr. Ulrich Eckhart for giving me this opportunity with Ajman Hotel managed by Blazon Hotels now and before with Kempinski. And what was your first opportunity to be a General Manager? Back in 2004 while I was in Sofia, Mr. Reto Wittwer, the Pesident of Kempinski at that time met me during one of his visits and he asked if I would be interested to join the opening team of Emirates Palace Abu Dhabi. It was a great opportunity for me, and I didn’t have a second doubt. I spent two years in the UAE and then I moved to another property in Zanzibar. You know my favourite singer has always been Freddie Mercury, and he was born in Zanzibar. So when they asked me if I would you like to go to Zanzibar, I said, "Yes, I want to see where Freddie Mercury was born", and I spent another two years there; that was a school for a lifetime. If you compare your performance in such kind of remote destination and your performance when you are in the Emirates Palace where everything around you is gold, I think this is the breaking point when you realize that you have learned a lot. Flexibility, Respect, Patience and a Good team work is all you need. Hospitality is all about people and you meet and work with different people every day. Thereafter, I moved to Jordan taking the role of Assistant General Manager in one of the Kempinski properties in Jordan. During that time, I was promoted to a General Manager. After my tenure in Jordan, I moved to Egypt and then from there I took another challenge and went to Saudi Arabia to support the newly opened property of Kempinski in Riyadh, the tallest building in Riyadh. It seems you were excited to discover new places. Are you still excited to discover new destinations? 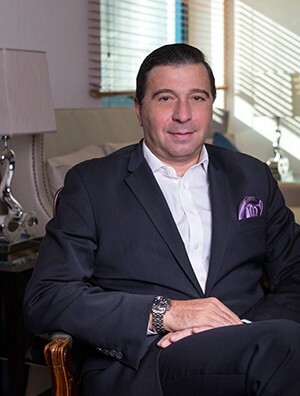 I always say to the management team at Ajman Hotel and anywhere I was before that it is very good to make a move after two or three years, to stretch out and explore new destinations, new assignments or simply develop a new product; in fact that was a good enough reason to start with Ajman Hotel managed by Blazon Hotels. If you stay in the same place for more than three years you become too relaxed and in the hotel business your “eyes need to travel” as Diana Vreeland has once said. You meet new people, evolve as a person, and aim to reach new realms of opportunities. Fast pace is what keeps me moving on; staying at one place for a long time kills the enthusiasm. One of the charms of the hotel industry is the motion, the speed and the unknown. It is not so easy to pack up your luggage every two-to-three years but nothing is perfect in this work. You learn to be perfect through imperfection. After Saudi Arabia I moved Latvia to open the first five star luxury property in Riga. After the grand opening, I got a call a year and a half ago from Mr. Reto Wittwer who told me that he and Mr. Ulrich Eckhart had opened a new hotel management company brand in Dubai, Smart Hospitality Solutions managing hotels under the brand of Blazon Hotels, and the first hotel of the new company is at present Ajman Hotel. How did you or your role differ in each destination? Did you have to adjust to different cultures? Well in every country you have to adapt yourself to the local culture and laws. You have to respect the law and the traditions of the country. You act differently when you are in Saudi Arabia compared to Europe. So if you want to be successful in your new destination, there is only one word I think of and that is “respect” – to value the local habits and culture and to learn doing it fast. You need to know how the local people communicate, engage and to remain open to accept things you cannot change. I always say that I am a guest in a country, and I know that is not my country. I adopted that culture throughout the years and trust me that helped me to build valuable relationships with the local community that last forever. 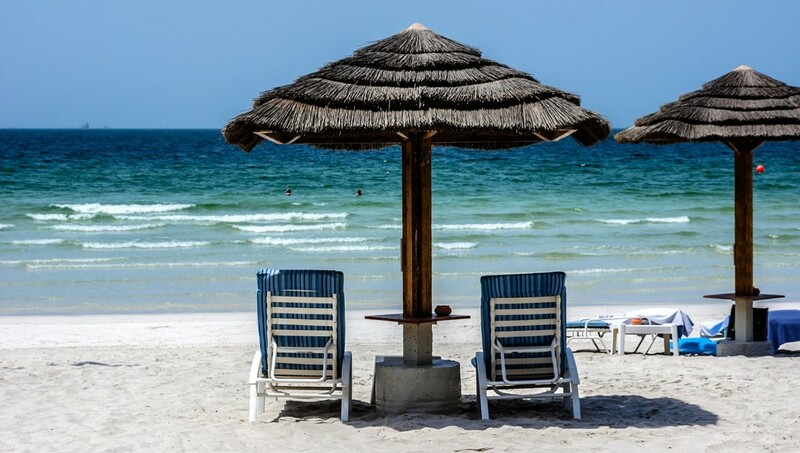 Tell us about Ajman as a destination. What do you think it offers to your guests? 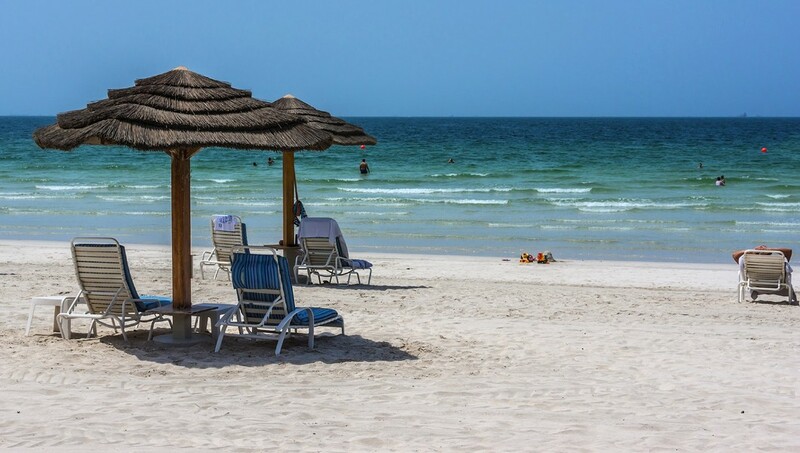 Ajman is a beautiful place, not far away from Dubai, in 40-45 minutes you are at the airport and the heart of Dubai. 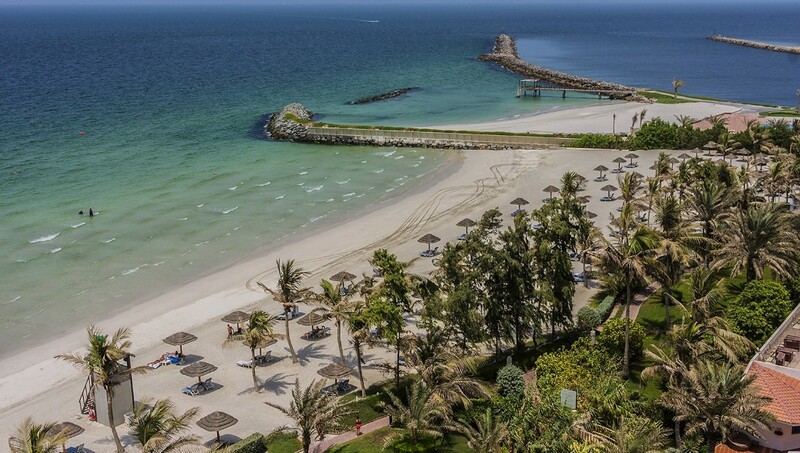 The unique selling point of Ajman and Ajman Hotel managed by Blazon Hotels is the natural open beach. The hotel has the largest stretch of a private beach and all rooms are viewing the sea. It is the perfect getaway spot for people to come and have a relaxed vacation. If they want to go and see Burj Khalifa, The Dancing Fountains, The Dubai Mall, it is a 45-minutes drive and we offer free shuttle service for the comfort of our guests. In Ajman Hotel guests can savour a wide spread of on-site dining options and delight in extensive leisure facilities without ever having to leave the property. I think it is the ultimate resort backdrop for those who love the nature and the sea. How much has the hotel changed in terms of the recent rebranding? What can we expect to see? Ajman Hotel is now 20 years old; we established a program with the owners for renovation of the hotel. It will take a few years because we are planning to make changes in stages. We will start with the ballroom because the ballroom business in the UAE and especially Northern Emirates is very important. We are planning to make a full renovation of the ballroom this year followed by phase-one of the rooms’ renovation. The rebranding and repositioning of Ajman Hotel was imperative for us in 2018 – to create a new awareness and to regain the trust of the market and the employees. I think we are on the right track now. More and more business partners are approaching us; in the beginning everybody was waiting to see which side of the road the hotel will take after Kempinski deflagging; “would it remain a five star luxury hotel? Would the new company be able to manage successfully to rebrand the hotel?” As I mentioned earlier, we are on the right track and we have more and more employees approaching us for a job. We are a strong team, and together we can achieve a lot. Ajman Hotel is not the only five-star hotel that goes solo on the market. There is a brand behind, Blazon Hotels, and hospitality pioneers like Mr. Reto Wittwer and Mr. Ulrich Eckhart certainly know how to build a brand. They did it 20 years ago; they put Ajman as a destination on the travel map. They can do it again. We will do it again. In terms of excitement and inspiration, what is it that gives you the passion for the role? What do you find inspiring about working in hospitality and being a general manager? Hospitality is a 24-hours business with people. I take care of 300 employees every day and make sure that they have their salaries and they are happy, and on the other hand, I have to make sure that our guests are happy and have a fantastic time in the hotel. It is a very dynamic job. Tomorrow is a completely different day from today. We go by the motto “the only easy day was yesterday”. Every day you deal with different people, with different backgrounds, people who are coming from different countries, sharing with different values; so many differences and in the core is the respect and the common goal. We have all that at Ajman Hotel. The hospitality is not like a normal working day in a bank – you come, you work and you go home. You work on holidays, you may have to skip or rearrange personal trips, or miss birthdays of people you love. There is always something new happening and it is worth exploring that. If you are a dynamic person, you will love the job. Do you actively try to motivate your staff or teach them your philosophy? Do you kind of have any key predictions for changes you expect in the hotel industry? What I am expecting to change, especially for the millennials, is that luxury hotels won't be dictating the trends. I think more and more people are becoming more practical and they'll look for products that are practical and simple. I think the future for the next few years belongs to more modern and very practical hotels. The heavy luxury hotels will remain strong in big international cities but for me the future belongs to modern hotels with a modern business approach given by the management. Does that include the size and scale of the hotels? We see so many huge hotels in Dubai so do you expect a trend to limit the capacity, or will we still see lots of large luxury openings? I think that the Food and Beverage capacity will be limited definitely because the independent restaurants are run very successfully from chefs. If you look in hotels even Ritz-Carlton or other big names, no hotel can run a successful restaurant with their own hotel management. All the successful restaurants in hotels in Paris or London are outsourced to Michelin-star chefs. I think the hotels will limit their F&B sources. I think this is the future because when you have 10 restaurants, believe me it is heavy duty work, and hotels cannot compete with Michelin star chefs who are running their own restaurants. It is a different structure; it's a big machine, so I think the hotels will limit the F&B outlets. The room capacity would remain the same because this is the core business for hotels, and a spa. If you were going to pass on one piece of advice to an aspiring General Manager, what would it be? The key advice is that you should enjoy working with people. It's all about people. You have to laugh, to travel. You have to be ready to deal with stress and long hours at the hotel.